The reason that Kago the Lab was introduced into Kumbali’s life was because since the cub was separated from his mother it was important for him to learn valuable lessons on socialization and adopt to the environment. 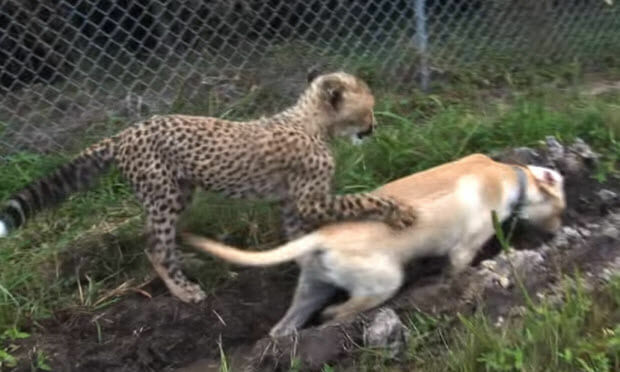 And since dogs are more excepting to surrounding things and less fearful of them, hence the Kago the Lab introduction into this adorable cheetah cub’s life. Poor Dog Left Outside In The Freezing Weather. What Happens After His Pictures Go Viral…Is Unbelievable! This Cute Puppy Is Playing Piano And It Is Absolutely Adorable!